Now available online, new Hania by Anya Cole. 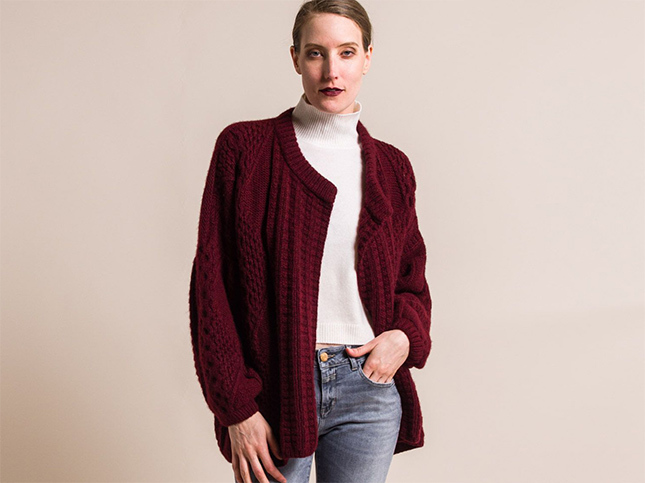 New cardigans are hand-knit into innovative designs in colors of deep red and cool grey. Hania by Anya Cole is sold online and in Santa Fe Dry Goods on the Plaza in Santa Fe, New Mexico.